The group is held weekly on Thursday afternoons for 1 hour. Meet at far end of waves pool ready to go in your swimming costume. Hydrotherapy, is a form of treatment or rehabilitation, which consists of exercises carried out in a heated pool. 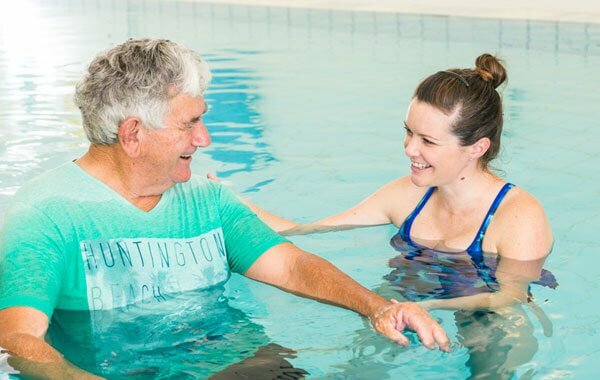 The properties of water make it a gentle, supportive and relaxing medium in which to exercise, especially for people with significant levels of pain. Physiotherapy group sessions are $8 per person, capped at 4 sessions per month. If you are interested in attending, please contact SCHS Reception and ask for our Allied Health Assistant on 5022 5444.